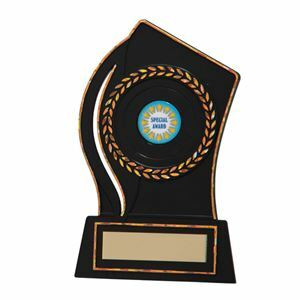 At Impact Trophies & Medals, we offer a huge range of shields, trophies, medals and awards suited to any presentation, event or competition. 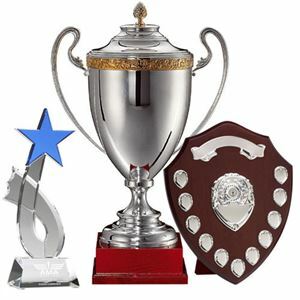 Our extensive range includes logo insert trophies, glass awards, trophy cups and shields & plaques for any occasion. Impact Trophies & Medals are a leading retailer of trophies, shields & awards. Great for personalisation, many of our premium trophies trophy cups and shields & plaques can be personalised with high quality text engraving and printed logo inserts, to perfectly meet all your presentation needs. The Global Football Trophy is a small metal trophy available in a choice of gold, silver or bronze. 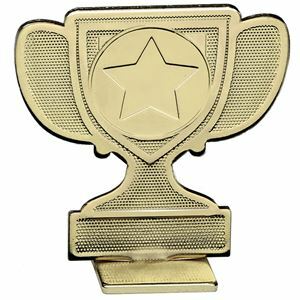 Set upon a small base, the metal trophy is embossed with a football boot kicking a football. Above the football image and encircled in a laurel wreath, is a circular area which is embossed with a star but can take your logo. The Global Laurel Metal Trophy is a small metal trophy available in a choice of gold, silver or bronze. 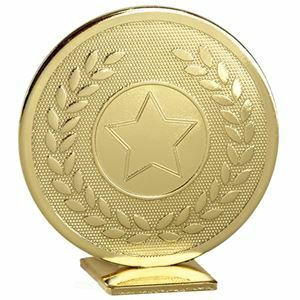 Set upon a small metal base, the star centred laurel wreath trophy is decorated with laurel detail with a star etched in the centre. The Global 1st Place Trophy is a small gold coloured metal trophy. Standing at just 60mm tall, this circular trophy displays 1st in large font, etched into the surface of the disc style trophy. Also available in silver (2nd) and Bronze (3rd). Made from high quality metal, the Global 2nd Place Trophy is a small circular metal award with a silver finish. The centre of the disc shaped award features '2nd' in large font. Set upon a small metal square stands the Global 3rd Place Trophy. Made from high quality metal, this small circular award displays '3rd' in the centre with an offset laurel detail. The Global 3rd Place Trophy is bronze in colour, making it the perfect medal inspired trophy. 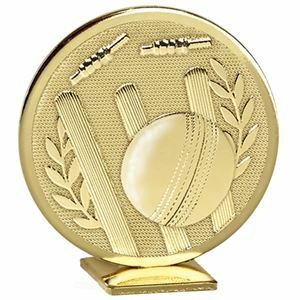 Available in a choice of gold, silver and bronze finishes, the Global Cricket Trophy is a medal inspired trophy. Self standing, this small metal trophy features a cricket ball hitting a set of stumps, sending the bails flying. The Global Rugby Trophy is a small self standing metal trophy. 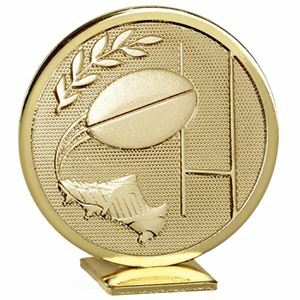 Available in a choice of gold, silver or bronze finishes, this 60mm trophy features a rugby boot, kicking a ball over the posts.